The Indaba called by President Emmerson Mnangagwa for heads of political parties who contested in 2018 Presidential elections to converge at the State House to discuss a framework for National Dialogue and Interaction. NPF called the initiative a charade aimed at undermining efforts of genuine national talks. 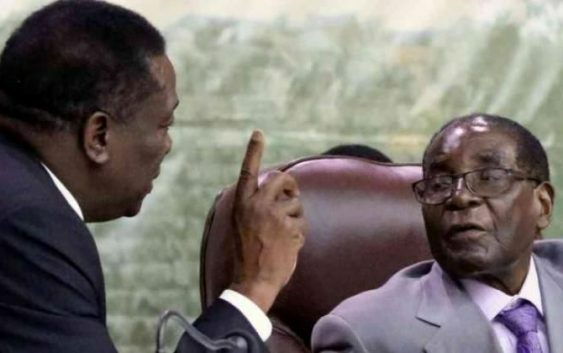 “We note and condemn efforts at hoodwinking Zimbabweans and the International community that Mr Emmerson Mnangagwa is pulling though calling for a nocturnal ‘dialogue’ at his state residence where those supposed to dialogue will be surrounded by members of the Presidential Guard, which stands accused by the Kgalema Motlanthe commission of butchering civilians on the 1st of August 2018 in front of international media cameras.” A statement issued by NPF Spokesman Jealousy Mawarire said. NPF further said it distances itself from Mnangagwa’s efforts to divert attention from genuine talks which are being pushed for. “We believe our country needs dialogue and we are amenable to genuine talks aimed at solving the crisis bedeviling our country, but we refuse to be party to a charade being organized by Mr. Mnangagwa to preempt efforts being made to ensure genuine talks aimed at resolving our problems are set in motion.